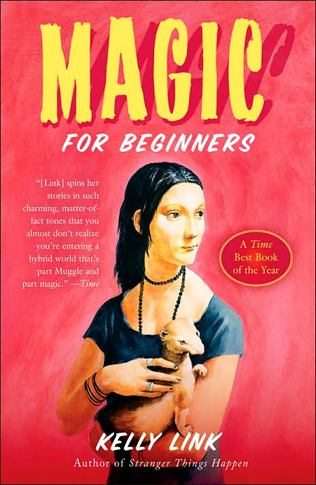 For the April meeting of City Lit Books' Weird & Wonderful book club, we discussed Magic for Beginners by Kelly Link. The collection showcases Link's ability to draw on a host of genre techniques—most of these stories feel like they belong somewhere on a spectrum of horror-fantasy-surrealism—while also creating affecting human characters. "Kinda ghost-story-like" and "demented YA" were two terms we used. Lots of bouncing around between stories in our discussion. We kind of wound up categorizing them into two groups: stories that had intelligible plots (with many fantastic elements), and those where the surrealism or dreamlogic was overpowering. Much debate on where to place some stories, however. "Hortlak", for instance, we found really interesting despite the difficulty of figuring out what's going on with it, but didn't find the characters particularly compelling. We loved the pajamas. We really liked "Stone Animals" and spent a lot of time discussing that; particularly interesting is the way that there's nothing definitively supernatural going on in it until the very end, and even then it concludes so quickly it's hard to know how to take it. "Is the world crazy, or are they crazy?" We were really intrigued by the idea of "haunting" used here, and thought the little kid being shunned by his sister particularly tragicomic. 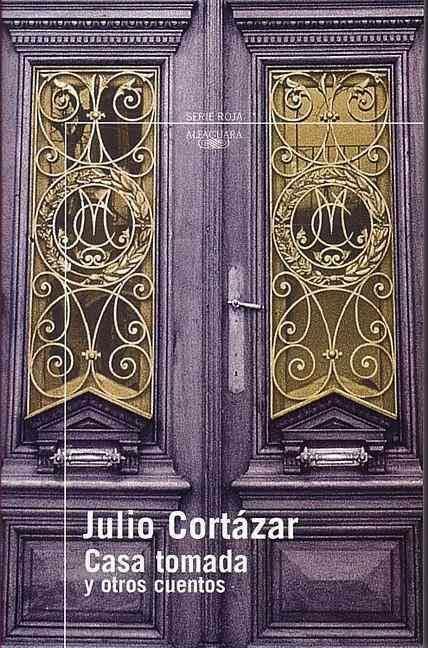 The mixture of matter-of-factness, family dynamics, and surreal domestic issues reminded me a lot of Cortázar's House Taken Over or DeLillo's White Noise. One through-line we noted in these stories is the idea of disintegrating relationships—talked about that in the title story, as well. We liked how "Magic for Beginners" works as a pretty effective story about teenagers, and loved the the fandom element—the fictional show they're obsessed with sounds awesome. Was noted that there's a fair amount of dog & cat killing, or at least skinning (urgh) going on here. "Catskin" is definitely one of the less-decipherable stories in here, although some of quite liked it, and compared some of the skins-full-of-critters elements to Oogie Boogie from The Nightmare Before Christmas. We also liked "Zombie Contingency Plans", noting it's extremely effective twist. I've been joking for years about variations of the "I screamed audibly" award, and this one would definitely get it. Debate about how believable the art-theft is here. Enjoyed how much place unexpectedly infused some of these stories, specifically upstate New York—Ausable Chasm being a real place, for instance, although in my experience not a portal to some kinda zombie-land. Also interesting because her latest collection, Get In Trouble, is Florida-infused. A lot of our discussion, when not analyzing specific stories, revolved around questions of style and genre. As mentioned above, "dreamlogic" was a phrase we tossed around for many of these stories, as well as the idea of slipstream. Surrealism, magical realism, and post-modernism in the vein of Ishmael Reed or Donald Barthelme were also in my brain while reading these—or Calvino, Boyle, Miéville. But we also noted a strong connection to classic, unsettling fairy traditions—"the people under the hill" and so on. Lots of talk about how metaphorically or allegorically to read these stories (as always, Tolkien's bit on allegory, and Miéville's comments, spring to mind); and we noted that a trick to to enjoying this collection is to get the brain to stop looking for obvious metaphors. Someone quoted David Lynch—a lot of whose work feels like it's in the same general neck of the of the woods as Link's—"I don't know why people expect art to make sense when they accept the fact that life doesn't make sense." We also talked about the response to art one doesn't "get", and specifically the category of "hilarious Tripadvisor comments about modern art museums" like the MCA. We also talked a lot about the framing and reliability of these narratives. A lot of these stories feature unreliable narrators and layers of sometimes-recursive framing, as in "Lull", the final story, as well as "Magic for Beginners". I'm kind of a sucker for the mise-en-abyme, so personally I really enjoyed that. I enjoyed the heck out of this collection, though it wasn't for everyone at group—primarily for the weirdness level, as well as the fact that a lot of folks aren't super-into the short story as a format. I had to duck out of group early, so it's entirely possible I missed brilliant revelations. Next time! Weird & Wonderful is discussing Sofia Samatar's A Stranger in Olondria. Weird & Wonderful clubs and many other wonderful events can be found on the City Lit Books website.